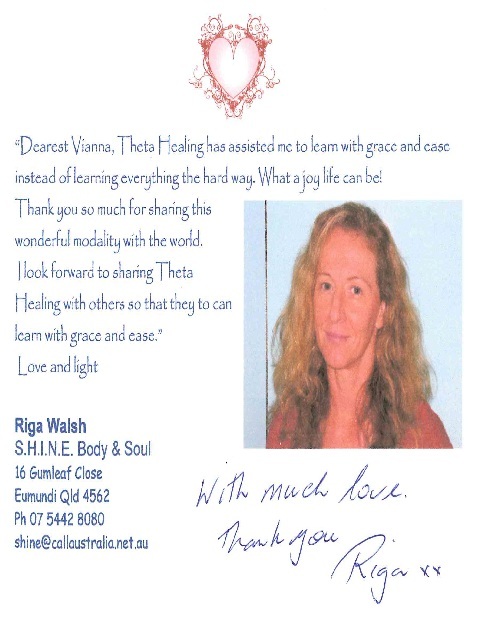 “Dearest Vianna,Theta Healing has assisted me to learn with grace and ease instead of learning everything the hard way. What a joy life can be! Thank you so much for sharing this wonderful modality with the world. I look forward to sharing Theta Healing with others so that they can learn with grace and ease.